This page is a temporary holding spot for my build of the mingw32 target of a CVS snapshot of certain GCC/GCJ branches. Here, you can download a Win32 (MingW) build of GCC, which can compile C, C++ and Java code into native Windows executables! Before I type any further, I want to give due credit to people like Adam Megacz, Mumit Khan, and everyone behind GCJ, GCC and MingW. In addition to submitting numerous patches and observations in order to get the latest GCJ built and working on MingW, Ranjit Mathew went above and beyond the call of duty in guiding me through this effort. In the short time that I've been involved in this, I've learned an incredible amount thanks to Ranjit and other helpful souls involved with GCC and GCJ. Please send feedback! Let me know if there is a better place to put this snapshot, if I have made factual errors or could have done things better, and any other comments you might have. a build of GCC 3.4 from a CVS snapshot taken at about 16 March 2004 plus some as-yet-unapproved patches. SwingWT is a Swing and partial AWT implementation which uses SWT under the covers. It allows gcj to compile AWT and Swing applications. How do I unzip a .tar.bz2 archive?" in the directory you want to decompress this to. This build allows for integrated SWT and SwingWT (see the links above) as two of the four possible build configurations (see below). With integrated SWT and SwingWT, the appropriate classes have been integrated into the libgcj jar file and library so you don't need to add swt.jar to the classpath or link against libswt.a. The SWT build used is v3054; the SwingWT build used is v0.83. To integrate SwingWT, I first surgically removed the GNU AWT and Swing sources from the libgcj build (see noawt.diff in the patch list below). I then modified the SwingWT sources, changing packages swingwt. * and swingwtx. * to java. * and javax.*. There are post-libgcj build steps which fold the SWT and SwingWT classes and objects into the libgcj libraries and jar. Important Note: none of this is intended to minimize the importance of the ongoing GNU libgcj and CLASSPATH work to implement Swing and AWT. The GNU libgcj folks are doing an amazing job and are making amazing progress. I even attempted to start coding up the Win32 AWT peers - you can get my half-baked sources here - but have no idea if I'll ever finish. Someone else is welcome to carry this forward. If you dynamically link executables and redistribute them, please remember that the GNU Public License requires you to make the source available for libgcj.dll in the same manner that you distribute your binaries. See COPYING in thisiscool-gcc/gcc-3.4 for full details. 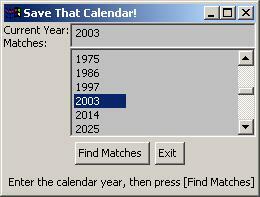 The samples are in the examples directory. 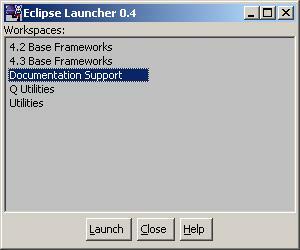 EclipseLauncher A Swing program which demonstrates loading image resources from the executable. GUILauncher A simple SWT program. HelloSWT An SWT program which demonstrates loading image resources from the executable. Download the above zipfile and unzip it somewhere. I chose C:\Program Files and, for illustration purposes, will assume you did too in the remainder of this document. Either put C:\Program Files\thisiscool-gcc\gcc-3.4\bin in your global path, or ensure that it is in your path when you do a build. For SWT applications, you'll need to move C:\Program Files\thisiscool-gcc\gcc-3.4\i686-pc-mingw32\lib\swt-win32-3054.dll to somewhere your built executable can see it. For dynamic builds, rename one of libgcj.dll.origdll or libgcj.dll.guidll (these are both in C:\Program Files\thisiscool-gcc\gcc-3.4\i686-pc-mingw32\lib) to libgcj.dll and put this somewhere where the built executables can see it. The bundle includes example applications. See the ReadMe files in thisiscool-gcc and thisiscool-gcc/examples for details. Note: these sources includes the above patches. This is source code only, not the gcc compiler itself. To conserve both your bandwidth and mine, only download this if you are sure you need it. If you're not sure whether you need this, you probably don't. a build of GCC 4.02 from ftp://mirrors.rcn.net/pub/sourceware/gcc/releases/gcc-4.0.2/gcc-4.0.2.tar.bz2 plus some as-yet-unapproved patches. Note: The DLL builds don't allow loading resources from the classpath (the application crashes on startup with an access violation). I haven't looked into this. Dynamic builds are not supported in this release. Ignore any information in this section about dynamic builds. Either put C:\Program Files\thisiscool-gcc\gcc-4.0\bin in your global path, or ensure that it is in your path when you do a build. For SWT applications, you'll need to move C:\Program Files\thisiscool-gcc\gcc-4.0\i686-pc-mingw32\lib\swt-win32-3138.dll to somewhere your built executable can see it. For dynamic builds, rename one of libgcj.dll.origdll or libgcj.dll.guidll (these are both in C:\Program Files\thisiscool-gcc\gcc-4.0\i686-pc-mingw32\lib) to libgcj.dll and put this somewhere where the built executables can see it. Note: these sources include the above patches. This is source code only, not the gcc compiler itself. To conserve both your bandwidth and mine, please only download this if you are sure you need it. If you're not sure whether you need this, you probably don't. a build of GCC 4.2 from the 4.2 SVN branch pulled down around 15 November 2006. Note: DLL (shared) builds are not supported in this release. Also, I haven't integrated SWT and SwingWT as I have in previous releases, though a gcj-built SWT (3218) and SWT samples are included in this bundle. No uncommitted patches! Woo hoo! Either put C:\Program Files\thisiscool-gcc\gcc-4.2\bin in your global path, or ensure that it is in your path when you do a build. For SWT applications, you'll need to move one or more of the DLLs in C:\Program Files\thisiscool-gcc\swt\win32\3218 to somewhere your built executable can see it/them. a build of GCC 4.3 from gcc SVN trunk pulled down around 4 December 2006. Either put C:\Program Files\thisiscool-gcc\gcc-4.3\bin in your global path, or ensure that it is in your path when you do a build. Java 5 support with Eclipse's ecj compiler integrated. Cool! a build of GCC 4.3 from gcj-eclipse-merge-branch SVN trunk pulled down around 5 December 2006. Note: This patch is incorrect and will not be approved. Either put C:\Program Files\thisiscool-gcc\gcc-ecj\bin in your global path, or ensure that it is in your path when you do a build. I am committed to maintaining and updating this build and providing it for free download for as long as my schedule permits. I promise to never charge money for the download of this build. I am also interested in hearing about bugs in this build. These should first be reported to the gcj mailing list, as discussed shortly. I can also do custom builds and add functionality as part of my consulting services. I've done this for a client who has released a commercial product using MinGW gcj, with great results. Contact me at the email address above for further details. You can also try to ask gcj-related questions on the gcj mailing list: http://gcc.gnu.org/ml/java. See this page for signup information. The people there are very friendly and helpful. Keep in mind, though, that they probably won't be able to answer questions that are too Windows-specific or specific to my build. GCC/GCJ are licensed under the GNU Public License with a special exception for libgcj. The Standard Widget Toolkit is licensed under the Common Public License.